With the endless growth of social media and cell phone technology, many teens are becoming paranoid that someone is "watching" their every post, tweet, and text. Be it the government or their parents, teens are aware that every move they make is seemingly public. For sixteen year old Jesse, he knows all too well the consequences of online blackmail at the hand of the King. Jesse isn't the boy next door, at least not a normal one. He and his family moved in with his uncle after his father disappeared. For awhile, everything seems pretty normal until his uncle begins abusing Jesse. With the abuse, Jesse is forced father into the Internet world than he ever wanted to explore, becoming the pawn in the "King's" system of blackmail. Using Jesse's videos and photos, the King forces Jesse to comply, or his little sister will lose her life. Terrified of the King but more worried about his own sister, Jesse is at his wit's end until a mysterious envelope appears from a girl named Miranda claiming she can help. She, too, is caught in King's trap, but together, perhaps they can outwit King and end his torture. 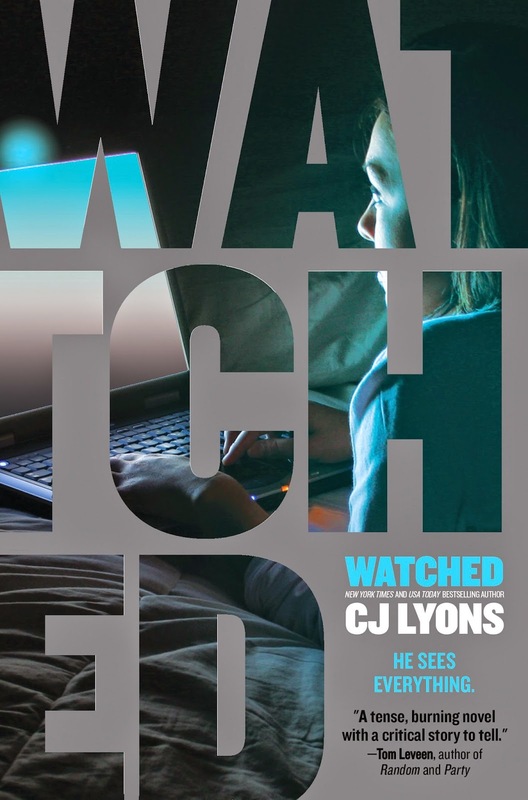 CJ Lyons's sophomore novel examines some of today's most pressing issues of online bullying, and she doesn't tiptoe around ideas that would normally make us cringe to consider. This is just the kind of novel teens need to read to be more aware of their surroundings, whether they're face to face or hiding behind a computer screen.